Different style dining room requires a different pendant light to decorate. 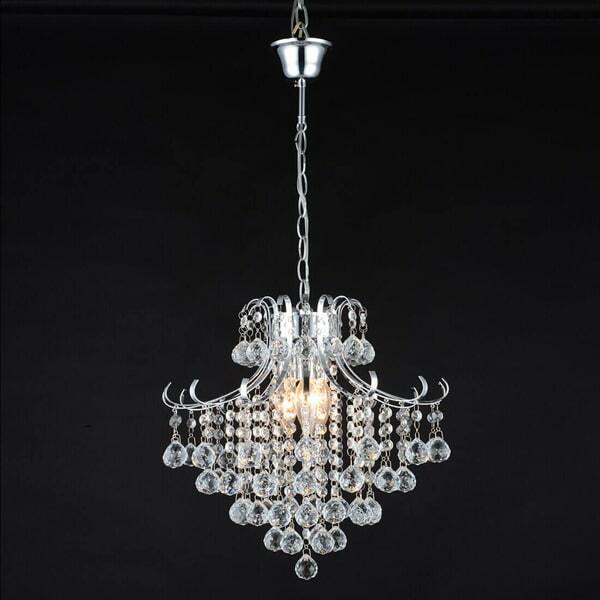 If your is spacious and luxuriously decorated, the crystal pendant light is your first choice. Because it is elegant and noble, which can make your dining room look luxurious. 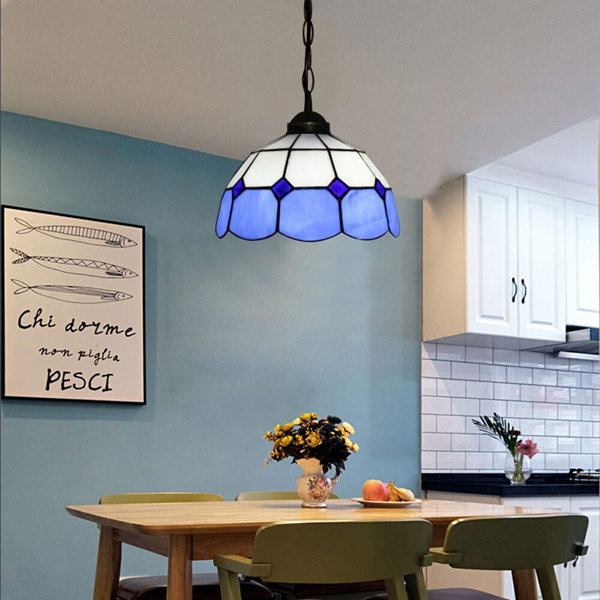 However, if your dining room style is retro and elegant, then you can choose Tiffany pendant light because it looks vintage and beautiful. 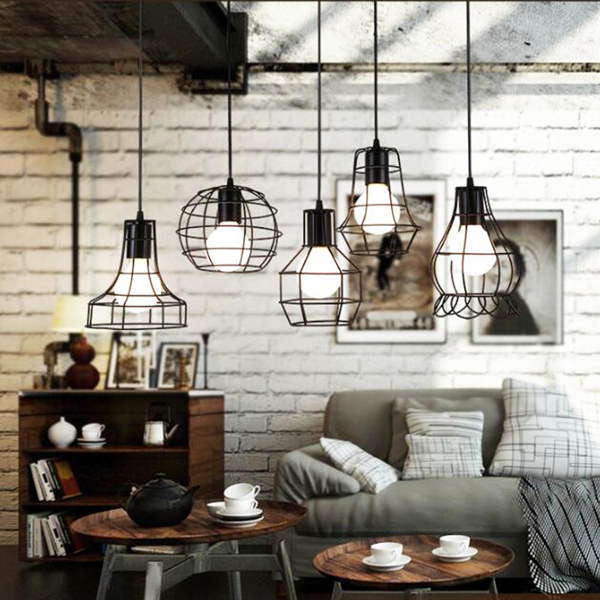 And if your dining room is modernised or rustic, the sleek and simple industrial pendant light is the best for you. Therefore, it is essential to choose the right pendant light according to your dining room decoration style. 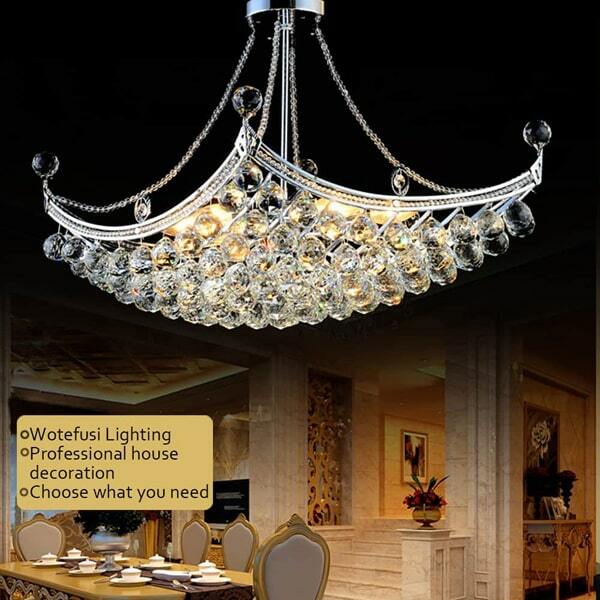 Once you've sorted your style preferences, you can select the perfect size crystal pendant light for your dining room. And it depends on the size of the dining room. There are also restrictions on installing crystal lights. For example, the restaurant is less than 160 square feet or the floor height is greater than 8.20 feet. 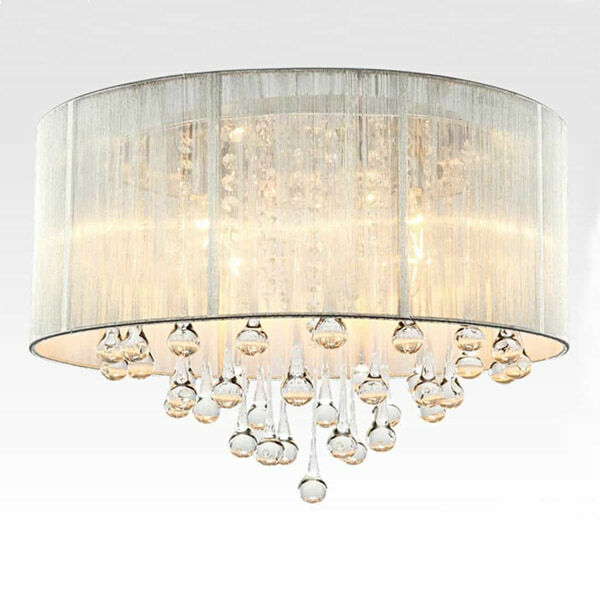 If the floor height is not enough, crystal ceiling lamp is your best choice. The small space and large lamps make space seem uncoordinated, and people feel oppressive. However, the large-scale dining room should choose lamps with more complicated shapes to highlight the lamps. The light filtered through the crystal pendant light to create a warm, soft glow. The sparkle effect of the crystal pendant light creates a romantic atmosphere which is perfect for the dining room. The dining room is a warm and appetising place, while the warm, soft and romantic crystal lamps can enhance the concept and function of the dining room as an interactive space. If you want more indoor lighting decoration tips, click here. Crystal is one of the most important parts of crystal pendant light. Here are some steps to identify it. 5.Refracted light: the light looks colourful under the sunlight when you stand in a distant to look at it. 6.Not easy to get dirty: when the crystal lamp becomes dirty, the high-quality crystal is restored to its original state after cleaning, while the low-quality crystal, even if it is appropriately cleaned, may lose its shine and brightness when used for an extended period. Safety ladders, screwdrivers, screws, pliers, rulers, hammers, glues, glass plates, etc. To ensure safe operation, please turn off the power first. Fix the base of the crystal pendant light on the ceiling, avoid other pre-buried lines on the ceiling, avoid damage to other power lines, and then fix the crystal chain on the ceiling. This step requires professional operating experience and electrical knowledge. After the above steps are all ready, read the instructions and follow the instructions above. More details about the lamp installation: ceiling lamp installation.